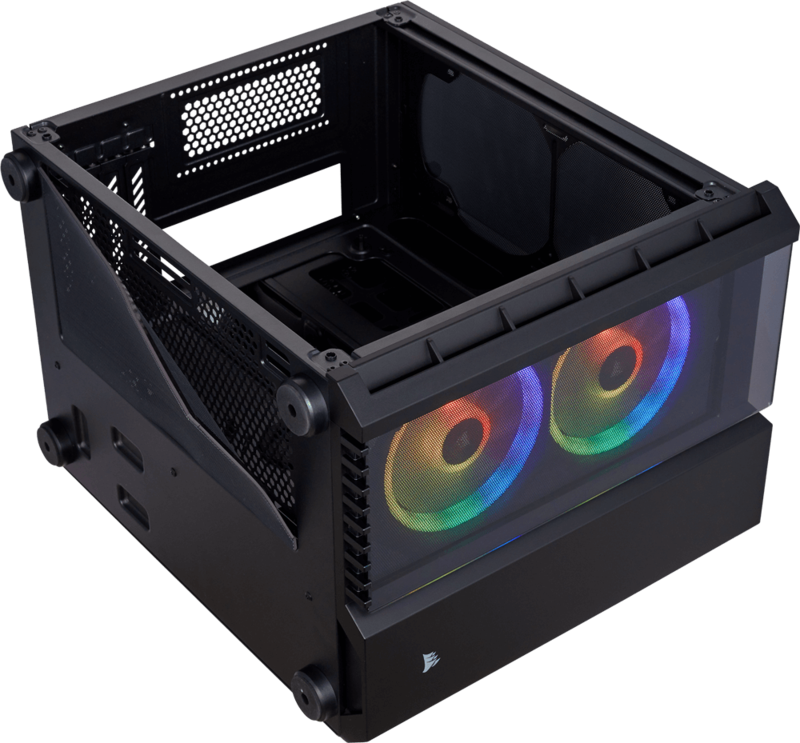 Room for up to six 120mm cooling fans, or a 240mm radiator in the roof, 240mm radiator in the front, and 240mm radiator in the floor. 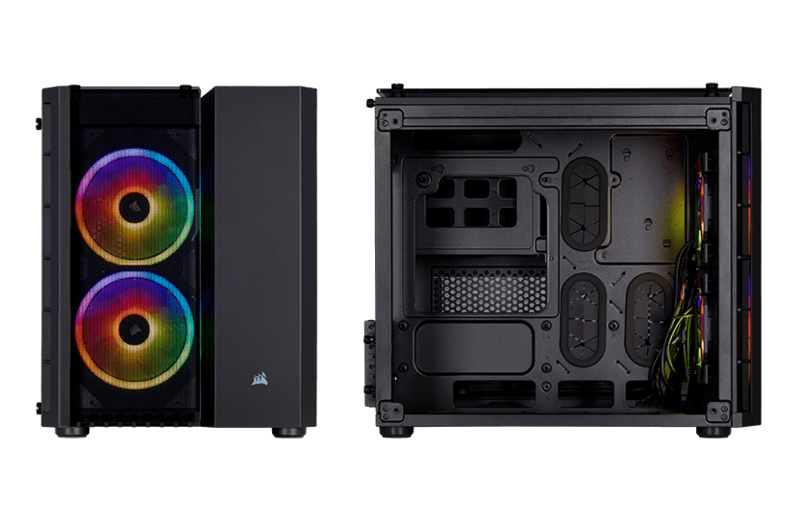 Two included CORSAIR LL120 RGB fans boast 32 individually customizable LEDs, powered by an included Lighting Node PRO digital RGB lighting controller and CORSAIR iCUE software to deliver a symphony of color. 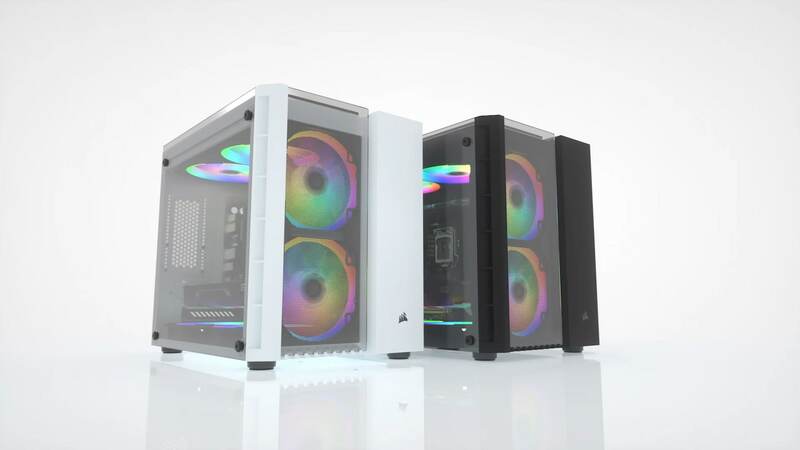 Three stunning, tempered glass panels put your system on display like no other Micro-ATX case. 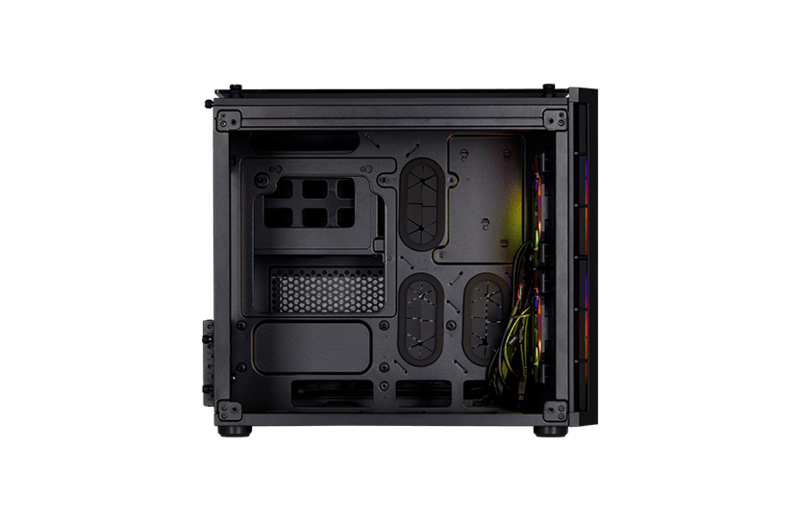 Highlight your PC’s core components whilst tidying cables, drives and the PSU into a dedicated rear chamber. Dedicated storage compartment for up to two 3.5” drives and three 2.5” drives keeps your system clean without sacrificing storage capacity. 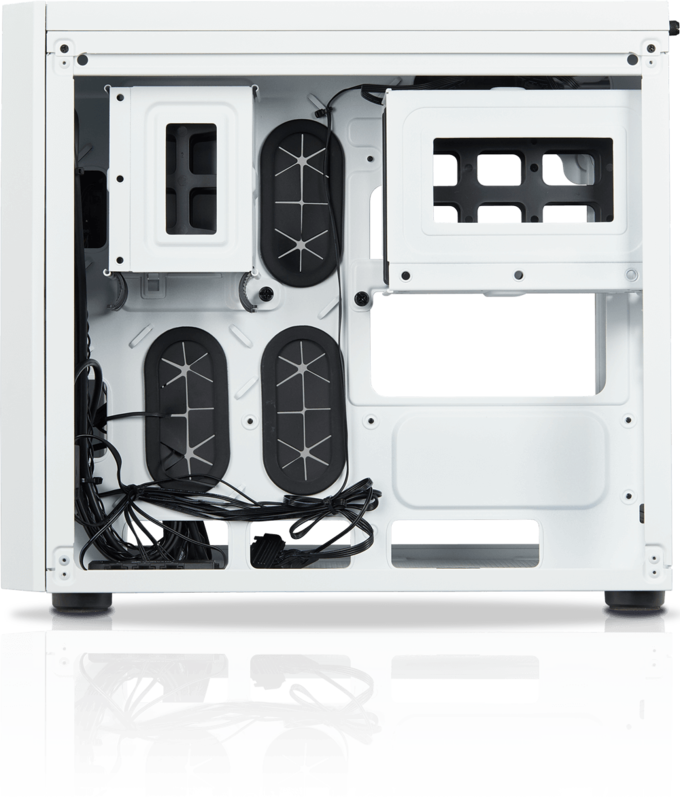 Front, roof, floor and PSU dust filters keep your system looking great long after your build is finished. Cool air is directed to the hottest components, without any interference from drive cages.